Keep More Money, Make Your Neighbors LOVE You! The Real Estate and Mortgage Market is tight and it could be driving down the value of your property! If you have over 40% or more equity in your property, you could carry back a note at the time of sale. The words “Owner Will Carry” or “Seller Will Finance” can bring in a much larger pool of potential buyers! You may be familiar with the idea of carrying back a second mortgage for the buyer of your property, but you may not be familiar with an option that could put more cash in your pocket and give you options you never dreamed of: carry back the first mortgage! A properly structured first mortgage is highly desirable to many investors, and you can have cash in your pocket in as little as 30 days after the sale of your property, OR a lump sum of cash AND payments to you when you need a reliable fixed income. Frank and Patty X had their lake front home appraised at $1,650,000 and put it on the market. After being on the market for 12 months, and dropping their price to $1,250,000, they took the advice of a note buyer, and returned the asking price to market level of $1,650,000, with the words “Seller Will Finance” in the listing. The property sold in 45 days for $1,600,000. They kept the down payment of $160,000, and carried back a note for the remainder. 30 days after the sale of the property, they sold the note to a happy investor for $1,224,000, for a total of $1,384,000. The property was sold for almost 30% more than if they sold the property at the previously mentioned reduced price! AND the property sold in 45 days at a price that made them, their realtor and their neighbors very happy. Hire a licensed appraiser and ask for a true valuation of the property to help determine your asking price. It is important that you do NOT ask them to arrive at a particular number. You are looking for the TRUE market value of the property. Seller Financing works best when the owner of the property has 40% or greater equity in the property, and you don’t need all your money right away to move into another property. You will have a down payment to work with at closing and additional moneys from the sale of your note as soon as 30 days after close of escrow. Call Armstrong Capital at 800-845-3055 or email us for a free no obligation consultation. You want to structure a proposed financing arrangement that 1) meets your needs, 2) will be attractive to note investors when you want to cash it out, and 3) that you can advertise to potential buyers of your property. Use standard Realtor provided contracts. This will help make sure that important protective language is included. For a single family home (SFH), get at least 10% CASH down payment or more. Other types of properties will be higher. Notes with different terms are still saleable, but will likely result in lower proceeds to you, the seller. If you have not already done so, this is the perfect time to contact Armstrong Capital at 800-845-3055 or email us for a free no obligation consultation regarding how and when you need your funds, realistic expectations, and the things you need to do to ensure that your note is attractive to investors and will give you maximum possible proceeds. Set your asking price according to the appraisal. Be sure your offer of Seller Financing is featured prominently in all advertising for the property, especially the MLS. But also work with your agent to include other sources, including Craigslist, Backpage and other free sources. $100K down and $3,218/month moves you in! There are many people who want to buy your property but cant qualify for conventional financing these days. Prepare yourself for much more traffic AND offers! When an offer comes in, work with your Realtor and Armstrong Capital to prepare a note that meets the needs of the transaction and of the note buying investor. Be sure to run a credit check on the potential buyer. You can get money for your note in as quick as 30 days after the sale of your property (and this can be arranged prior to the closing of the property sale). 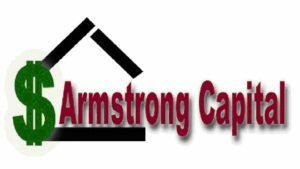 Since 1991 Armstrong Capital has been THE source to contact when you want cash for your note. With a full range of purchase options to meet your needs we can custom tailor a transaction for you and get you the cash you need now and a reliable real estate backed fixed income in the future. Contact Armstrong Capital at 800-845-3055 or email us TODAY for a free no obligation consultation. Armstrong Capital works in conjunction with you and your real estate agent (if necessary) to bring about creative solutions to the issues that come about in today’s challenging real estate market. We are real estate professionals with over 20 years experience, so we understand market history and trends, and have at our disposal a wide array of well-tested tools to creatively fill our clients’ needs. Call us, and let us design a seller financing package that will sell your property quickly in our current real estate market, and put cash in your pocket in as little as 30 days from closing. Contact Armstrong Capital at 800-845-3055 or email us for a free no obligation consultation.